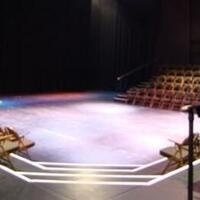 The Oscar G. Brockett Theatre is an intimate setting of 244 seats. Utilized most frequently for student productions of the Department of Theatre & Dance, this theatre helps develop budding new talent into experienced performers as part of Texas Performing Art's educational mission. Find directions and parking information at http://texasperformingarts.org/visit/maps_directions.